Lexus Canada and Cycling Canada announced on Tuesday that they have renewed their partnership, expanding Lexus' commitment to high performance and excellence. 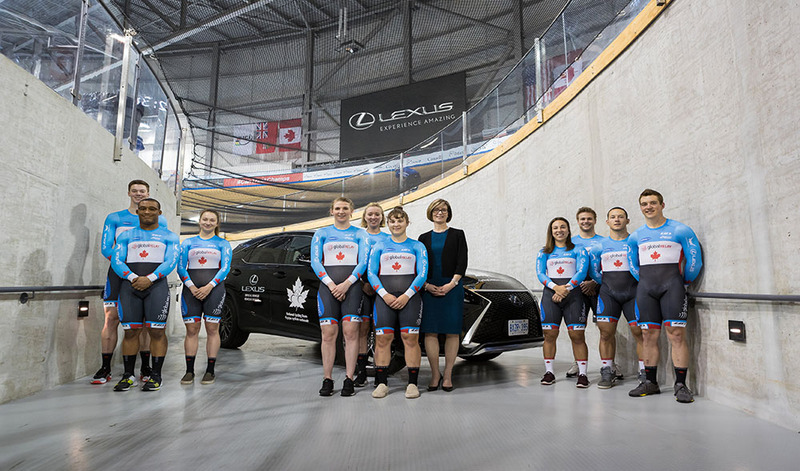 The multi-year agreement will see Lexus continue as the official automotive partner of Cycling Canada as well as a number of provincial level cycling organizations and events across the country. "At Lexus Canada, we partner with organizations that share a mutual passion for innovation, design and excellence in performance, and that is why we are thrilled to enter into another multi-year partnership with Cycling Canada," said Jennifer Barron, Director of Lexus Canada. "This expanded partnership will allow us to support dedicated and passionate Canadian cyclists at every skill level." "We are proud to continue our association with Lexus Canada and are excited for their support of Cycling Canada, the National Cycling program and our athletes who are delivering world class performances as a result," said Matthew Jeffries, Interim Chief Executive Officer of Cycling Canada. "The success of our athletes and national events are greatly enhanced and would not be possible without this vital support. We are thrilled and grateful for our shared vision and the continued collaboration over the coming years."